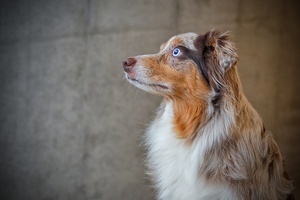 The discovery of various disease-associated genetic mutations has greatly changed the way some inherited canine diseases are categorized and perceived by the veterinary community. Through the use of genetic testing developed to identify these discovered mutations, various diseases which were once assumed to have a single underlying molecular cause (due to similarity between disease states) have been found in some cases to actually be caused by many different mutations, often in different genes. This phenomenon, known as genetic heterogeneity, elucidates the way genes work together in pathways and how a disruption in different genes of a pathway may result in similar or nearly identical disease states despite seemingly disparate underlying molecular etiologies. 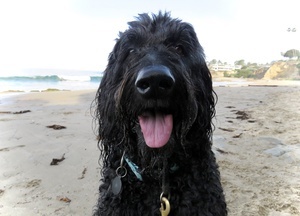 Understanding that there may be one of many different genetic mutations responsible for a dog’s clinical signs can help plot a better course for veterinarians to obtain an accurate, definitive diagnosis and in some cases, may alter treatment strategies. Thank you to the many PPG customers who offered photos for this important announcement. The photos in the first two rows were selected from a large number of customers who provided photos for this article. 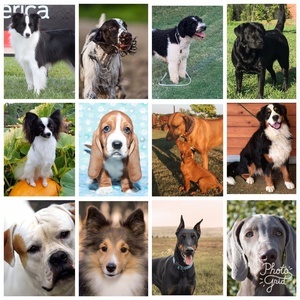 Paw Print Genetics is excited to announce that it has launched 12 new, very sought-after disease tests. These tests compliment the breed-specific assays that PPG already offers, and cements our dedication to providing the largest menu of genetic tests for dogs. The following tests can be ordered as individual tests or may be part of one of our breed-specific panels that should be considered for any breeding dog. 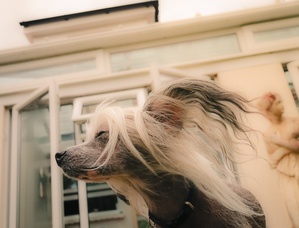 Despite being one of the most recognizable dog breeds in existence due to their unique physical attributes, the early history of the Chinese crested is a bit mysterious due to a lack of adequate written records. Though early hairless dogs have been documented in Africa, Central and South America, and Asia, the relationship between these dogs is not well understood. Evidence to suggest that they may be related is found in the fact that at least 3 hairless breeds originating from different continents (Mexican hairless, Peruvian hairless, and Chinese crested) are all known to inherit the same FOXI3 gene mutation responsible for their hairlessness. 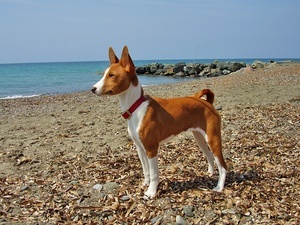 It is most likely that a common ancestor to the hairless breeds developed a spontaneous FOXI3 mutation that was later passed to the individual breeds as they were developed. It is theorized that early hairless dogs travelling on shipping routes with their human companions played a role in the spread of the trait to numerous locations in the world. 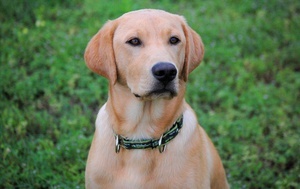 In this fourth and final blog in a series about preventable inherited diseases in the Labrador retriever (see previous blogs here; part one, part two, and part three), we will examine a potentially life-threating urinary disease and a cause of blindness in dozens of dog breeds including the Labrador. Urinary tract obstruction is one of the most urgent and potentially life-threatening conditions in dogs. One common cause of urinary obstructions in dogs is the presence of bladder stones which leave the bladder during urination and become lodged in the urethra. The inability to urinate results in a toxic buildup of certain electrolytes and waste products in the body including potassium, which tends to be the most concerning in regards to health effects. Excess potassium in the body prevents the heart from beating normally, ultimately resulting in death due to cardiac arrest. Though it is not the only cause of bladder stones in Labradors, a genetic mutation in the SLC3A1 gene is reported to cause an early-onset disease known as cystinuria, which can result in bladder stone formation. After many inquiries by our wonderful clients, Paw Print Genetics is excited to announce that we have begun testing for two genetic mutations reported to cause progressive retinal atrophy in the golden retriever. Known specifically as progressive retinal atrophy, GR1 and GR2 (PRA-GR1 and PRA-GR2), these two diseases were found to be caused by genetic mutations in the SLC4A3 and TTC8 genes, respectively. 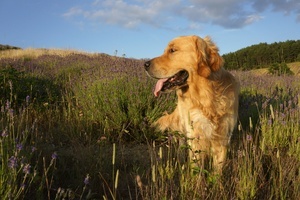 In addition to the golden retriever, the TTC8 mutation that causes PRA-GR2 has also been identified in a clinically affected Labrador retriever. Progressive retinal atrophy (PRA) is not a single disease, but rather a group of inherited diseases each caused by different genetic mutations in different genes. 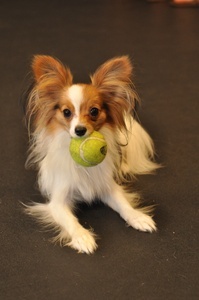 The various forms of PRA affect over 100 different dog breeds. Though there are variations in the progression of disease, most varieties of PRA (regardless of genetic cause) result in blindness due to an inherited degeneration of the retina; more specifically, the degeneration of retinal cells known as rods and cones, which play an important role in vision. The intelligent, prey-driven English springer spaniel (ESS) has forged its path as a popular, hardworking companion for bird hunters while maintaining a loyal and affectionate personality suitable to family life. Until the early 1900’s, springer spaniels were produced in the same litters as cocker spaniels; springers were chosen from the largest puppies of the litter and were trained for flushing or “springing” game while the smaller littermates were labeled cocker spaniels and were trained for hunting the elusive woodcock. Since then, springer spaniels have been further split into the generally leaner, shorter haired field (hunting) variety and the denser boned, densely haired show (“bench”) line. 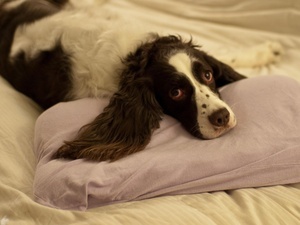 Unfortunately, like other purebred dogs, English springer spaniels are known to inherit genetic diseases that can keep some individuals from reaching the great potentials for which the breed is capable. One such inherited condition is an eye disease known as progressive retinal atrophy, cone-rod dystrophy 4 (PRA-crd4) caused by a mutation in the RPGRIP1 gene. Does Paw Print Genetics perform disease testing on basenjis? When we bring a new puppy into the home, we often envision years of companionship and adventures. Hiking, swimming, hunting and running are just a few activities our healthy canine companions can join us on – and there’s something to be said for the bonding that takes place when we’re just lounging around the house, too. For healthy dogs, the financial investment of daily care and routine veterinarian visits is well worth the cost of keeping them a healthy, happy and active member of the family. Unhealthy dogs due to poor breeding practices, however, exact a premium on our pocketbooks, tax our emotions and take a toll on our daily lives – not to mention the quality of life the puppy is condemned to live. While many unforeseen diseases and health issues can affect a dog throughout its lifetime, there are nearly 200 disease-causing genetic mutations known to science. These mutations can be identified in dogs prior to breeding, which allows breeders to produce healthier puppies. As a new-puppy buyer, make sure you’re purchasing from a breeder that has screened for genetic disorders common to your breed of choice. The only retriever developed exclusively in the United States, the Chesapeake Bay retriever embodies the work ethic and hardiness of the American spirit at a time when the new country was first being settled. Developed from two Newfoundlands (or perhaps St. Johns water dogs) rescued from a sinking brigantine off the coast of Maryland, Chessie ancestry likely includes flat- and curly-coated retrievers, perhaps spaniels and probably hounds from the local area. 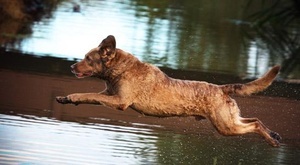 This combination of water-loving breeds with strong scenting ability produced a thick-coated and persistent working dog. And work they did.